Share the post "Phoenix Life Insurance Company"
Anytime consumers shop for life insurance coverage; there are several variables that must be kept in mind. An important variable that we will discuss here is the information about the insurance company you are considering and whether they are worthy of your business which could be for a lifetime. 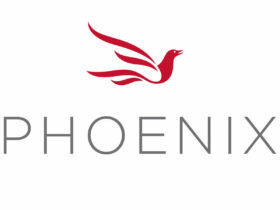 Let’s look into Phoenix Life Insurance Company. With their primary headquarters located in Hartford, Connecticut, this company’s principal focus is to assist individuals who are in the middle-income market, and individuals who are considered affluent, in obtaining the ideal insurance protection for their needs. While Phoenix Life Insurance Company has their principal headquarters in Hartford, Connecticut, the organization also has a customer service hub in East Greenbush, New York. The insurance company takes pride in its outstanding customer service – and makes it painless for its customers to contact its service representatives. Additionally, there is considerable information which is readily available on the Phoenix Life Company website, such as insurance policy forms, claim forms, service documents, and even prospectuses, which can be viewed and downloaded by policyholders and prospective clients. Phoenix Life has approximately 600 home office staff members – which makes it a fairly small company as compared to most of the other life insurance companies in the industry. Although Phoenix Life has been in the insurance business for numerous years, the ratings continue to remain stable with A.M. Best Rating Services. The company continues to financial obligations to its clients on a timely basis and the company continues to meet its statutory surplus requirements. The company has been awarded a grade of A+ (on an overall grade scale of A+ to F). And, during the past three years, the insurer has closed one complaint through the Better Business Bureau. This particular complaint centered on issues with the company’s product/service. Phoenix currently offers a variety of affordable insurance products that can meet the needs of their prospective clients because of their simplified underwriting and issuance. They are especially used for covering final expenses of the applicant. These two term products are simplified-issued term policies that have living benefits that were to designed to protect the future of loved ones and plan for the unexpected. No medical exams are required. Conversions – Conversions are available depending on the term of the policy purchased. Free Look – All policies include a free look period so that policy documents can be reviewed by the insured and returned for a full refund for any reason during the free look period. For consumers who prefer lifetime and guaranteed life insurance coverage, Phoenix Life offers its simplified-issue whole life policy that has living benefits and several rider options that allow for policy customization. As a simplified issue Whole Life Insurance Policy, Phoenix’s Remembrance life coverage offers several option coverages that can be used to broaden the coverage, 100% policy loans of the policy cash value, and a thirty day free look guarantee. For more information about Phoenix Life Insurance Company or any other insurers we represent, call the insurance professionals at Docktor’s Insurance at (888) 773-1181 during normal business hours, or contact us for a free and confidential quote through our website at your convenience.